Priya Rasetty joined Symantec’s Consumer Business Unit in 2016 and wore multiple hats as part of the global digital media & partner channel teams, marketing Norton & LifeLock brands. Stepping into her recent role, she is responsible in managing Amazon advertising and supporting the other sales partner channels in their digital strategy. 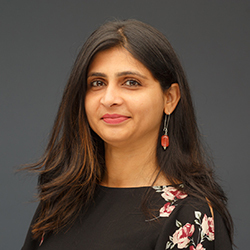 She scaled Amazon search and display advertising to make it one of the most important acquisition channels for Symantec’s Consumer Brands.Priya has nearly 12 years of digital marketing experience specializing in paid and biddable digital media marketing. Prior to Symantec, she worked at Freedom Financial Network, eHealth, and Efficient Frontier (now part of Adobe). She studied electrical engineering in India and secured an MBA in marketing from Boston, MA which puts her left brain and right brain in balance. She also works with non-profit organization and believes that giving back to the community is an essential part of living.